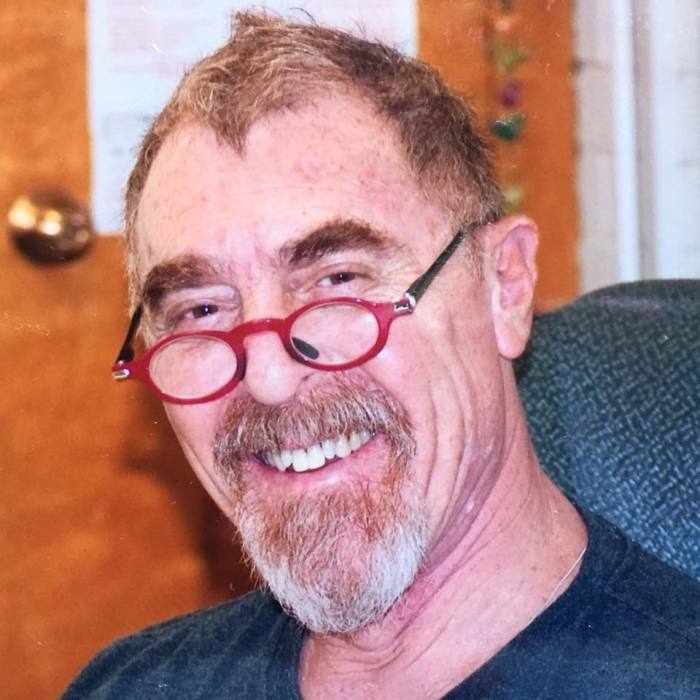 William “Bill” Marshall, 66, of Tucson, died on Friday, March 15, after a long illness. Born in Vallejo California on June 3, 1952, Bill graduated from San Diego Military Academy, and earned a B.A. in ethnic studies from Sonoma State University before attending Empire School of Law where he received a Juris Doctorate. In 1999, Bill married the love of his life, Ellen Ives. They settled in Rohnert Park, CA, where he dedicated himself to the roles of husband and stepfather. Bill soon realized that his true calling was in teaching young people to appreciate our country’s rich history and government, rather than in practicing law. In 2004, he moved to Tucson with his wife, where he taught middle school social studies. Throughout his career, he won the love and respect of his students through his dramatic teaching style, sense of humor, and profound compassion for children. He retired from Dodge Middle School after 13 years of teaching in Tucson Unified School District. Bill will be remembered as the epitome of a renaissance man. He was respected by students and colleagues for his passion for history and government, but was also admired by friends and family for his musical talent. He played lead guitar and sang in bands in the 80’s and after his retirement. Although Bill was admired and respected for his achievements and talents, his greatest pride was in the love of his family. Having waited decades to meet the love of his life, he treasured his partnership with Ellen, and enjoyed traveling the world with her, absorbing the beauty of other cultures. His admiration for his wife was constant throughout their nearly twenty year marriage, and his thoughts centered on concern for her happiness and well-being until the last day of his life. He delighted in visiting his stepson and daughter in law and his eight grandchildren, whose lives he shaped through imparting his love of history, civic duty,world culture, and music. Whether learning dance moves from his granddaughters, discussing and debating music with his older grandsons, or delighting his younger grandchildren with his Frank Sinatra impersonation and willingness to re-read their favorite stories, he demonstrated his love for his family in his words and actions. Bill is survived by his wife, Ellen Marshall, his mother, Barbara Weber, sisters Claudia Paige and Robynn Parsons, stepson Mitchell Kocen, daughter in law Colleen Kocen, and eight grandchildren, Connor Elio, Rory Elio, Riley-Katharine Elio, Reagan Elio, Bennet Elio, Ronin Elio, Jude Kocen, and Caroline Kocen, as well as numerous beloved extended family members. In lieu of flowers, the family requests that donations be made in his honor to a charity chosen at the discretion of the donor.